I am back ladies and gentlemen, I decided to take yesterday off from blogging as I didn't get a chance to blog Sunday as I was banjaxed tired from baking in Arnotts Saturday. One of the greatest things that has happened from the bake off is Joanne's interest in baking has really developed. She knows all the techniques and terms by proxy watching me practice like a lunatic for the past 7 months so surely she can bake right? 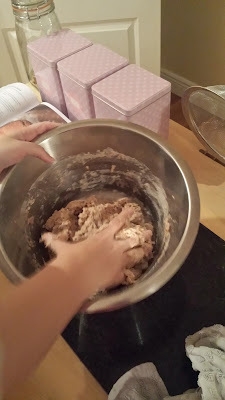 Well over the next few weeks I am going to introduce a few posts of me teaching my best friend how to bake. All weekend she was telling me that she was gonna bake some biscuits or small buns, however I suggested we tackle one of the most supposed difficult things to work with in the kitchen "Yeast"! 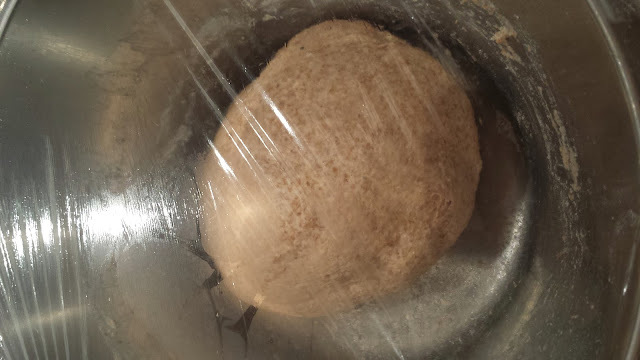 This was met with the following "ah here Will I haven't a clue what to do when it comes to making yeast bread I can only do Soda bread", well it was my goal to teach Joanne and all of you there is no mystique or difficulty in working with yeast. That bread up there, yeah a complete novice made that so with the right advice and technique anyone can bake, you are following a recipe its easy. Cooking on the other hand is difficult you need a good palate, the ability to understand flavours and the ability to season, however baking is all about following rules. 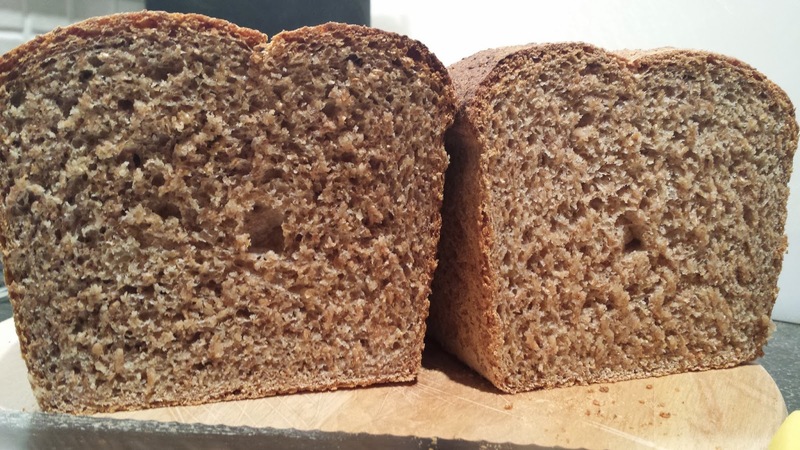 For the bread recipe I decided to use James Morton's wholemeal bread recipe from his fantastic book "Brilliant Bread" which I have to say is one of the best books I have read that has been released by a former British bake off contestant. 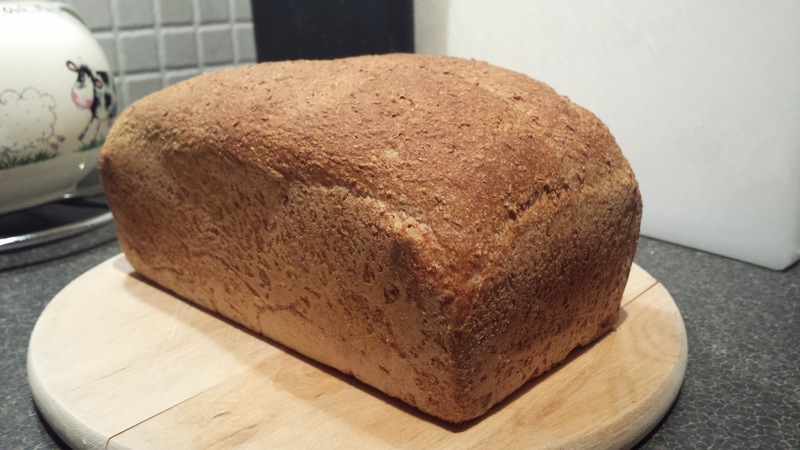 Only 4 ingredients you could not wish for an easier recipe and James's book is fantastic explaining how easy it is to make bread. In fact all I am doing here with Joanne is showing the technique in kneading as James's book does a fantastic job at explaining baking bread. 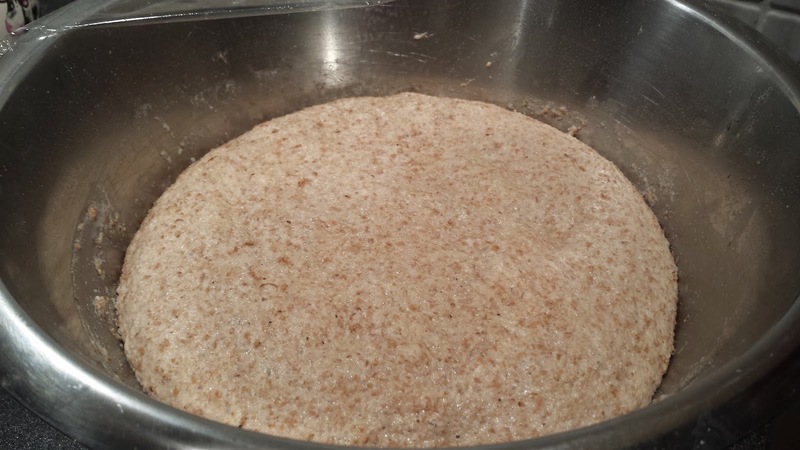 In a large bowl mix the flour, salt and yeast together. Make a well in the centre and add the water. With your hands bring together in to a dough ball, cover with cling film and allow to rest for 30mins. On a lightly floured surface turn out the dough and knead for 10 mins. 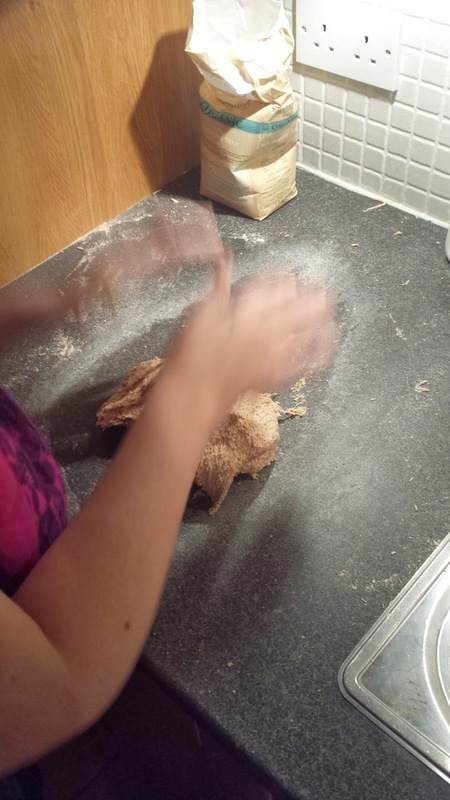 I showed Joanne how to knead for the first time, it turned out to be a bit of a workout. When you first start off kneading the dough it will be quite sticky so its always handy to have a pastry scraper handy to scrape the dough that sticks to the surface back off and into the dough. As you continue to knead, the dough becomes more elasticated and sticks less to the surface. The key thing Joanne learned here was to move fast, because when she first started kneading motion it stuck more but when I demonstrated doing it really fast she could see the dough didn't stick. I also advised to use as little extra flour as possible here as you do not want to incorporate any extra flour to the dough. We actually ended up kneading for about 12 mins but we ended up with a great dough. Once the dough was kneaded Joanne popped it back in to the bowl allowing it to prove for 1.5 hours or until doubled in size. I generally proof in the hot press as its the perfect environment for bread proofing. Once doubled in size remove from the bowl. Gently tap the dough to knock back out the air and gases. 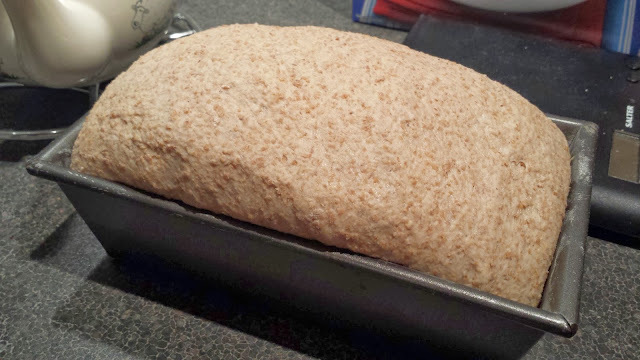 Shape the dough in to greased and floured 2lb loaf tin. This needs to be left for roughly 1 hour or doubled in size. With about 15 mins left in the 2nd proof pre heat the oven to 240c/230c fan/465F/gas mark 9. Cut a slit/score with a knife down the centre the bread and bake for 35-40 mins until golden brown. Et voila Joanne produced this loaf only with my tips and advice, needless to say she was so chuffed as it has a great crumb. As you can see anyone can bake bread with yeast there is nothing to it, now don't be afraid go make your own bread as its immensely better than what you buy in the shop.